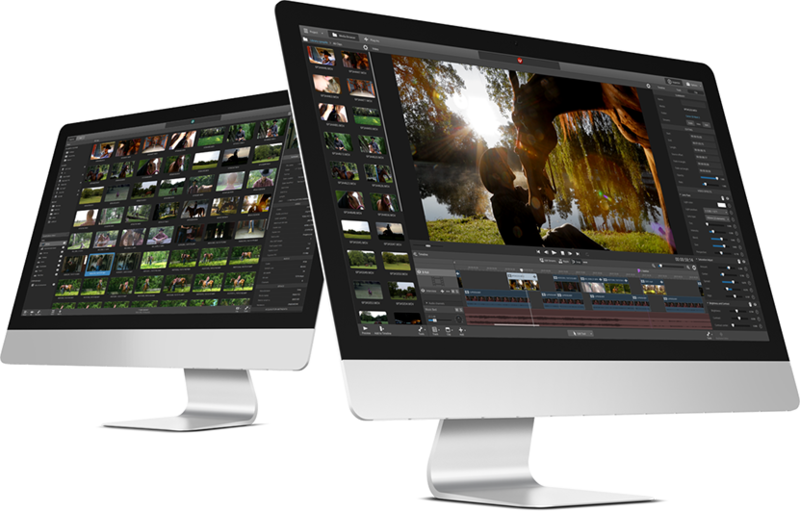 Focused, fast cutting for 4K, RAW, and HD video. Take a detailed look at the Catalyst Production Suite workflow (PDF). Then, when you're ready to move on to editing your project, all of this prep work integrates seamlessly with Catalyst Edit. You use your computer to make great videos, and you run whatever operating system it takes to get the job done. 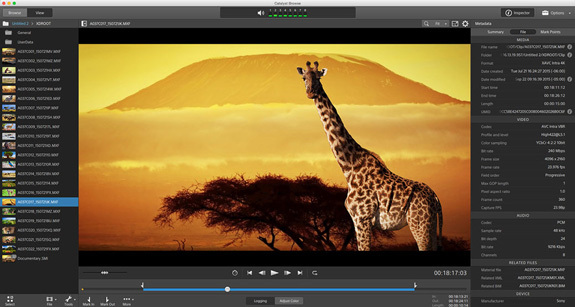 You need powerful editing capabilities whether you run Mac OS X or Windows, and if you use one platform at the studio and the other at the home office, you probably need to work on your projects on both systems. 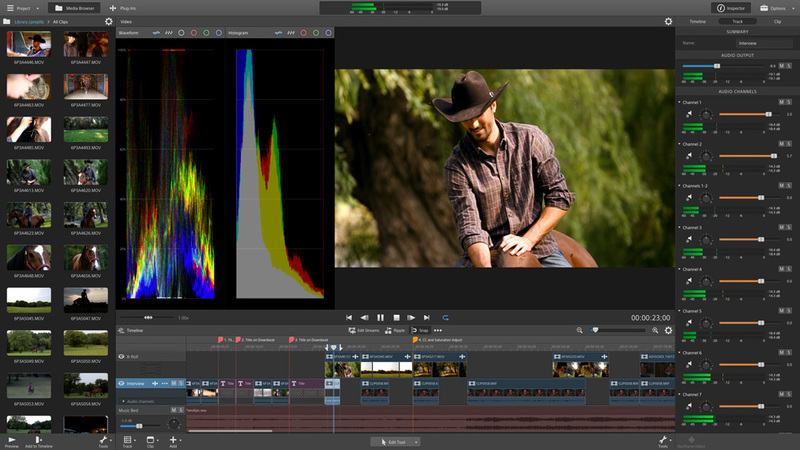 That’s why Catalyst Prepare and Catalyst Edit look, feel, and function exactly the same on both platforms. 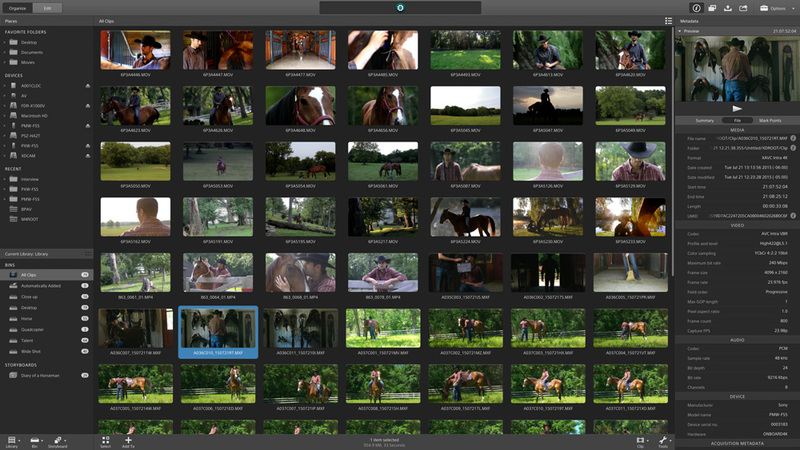 Catalyst Browse is a free, simple viewing and logging tool exclusively for all Sony Pro formats. Available for both Windows and Mac OS X.